2014 was the year that viral fundraising got everyone’s attention. With the success of the ALS Ice Bucket Challenge, every non-profit on earth was thinking about ways to create the next big viral fundraising sensation. Of course, the Ice Bucket Challenge was not the first viral fundraising campaign to be successful. Kony 2012, Movember, and many other viral campaigns have found fundraising success over the past decade, as the Internet has grown and allowed campaigns to spread quickly and cheaply. The truth is that international viral campaigns are outside of the reach of most smaller non-profits. Viral campaigns require a critical mass of support to “catch fire,” and many small, local organizations simply don’t have the base level of support or name recognition to spread their campaigns to the far corners of the globe. (For more on this, read What Small Non-Profits Can Learn from the ALS Ice Bucket Challenge). When designing a fundraising message for your viral campaign, you need to make sure that it can spread fast. This means you need to make sure that people can easily explain not only your campaign but your organization and funding needs quickly… whether it’s over social media, in short conversations in the elevator, or in videos posted online. If your campaign message is hard to explain, it will be hard to spread. If your campaign message is easy to explain, it will be easier for it to spread. For example, let’s say you work for a homeless shelter that wants to raise more money to care for the homeless in your city. Someone from your non-profit suggests running a viral fundraising campaign where people are asked to sleep on the floor for one night and take a picture, posting it to challenge their friends to do the same. The point of this campaign is for people to get just a small taste of what it is like not to have a bed to sleep in. 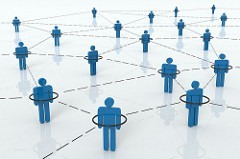 Keep your viral campaigns simple and easy to understand, and they will be much more likely to spread far and wide. I believe this is one area where the Ice Bucket Challenge actually got it wrong. While the ALS Society did raise tens of millions of dollars from the campaign, for the most part the campaign was that people should either dump a bucket of water on their head or make a donation to the ALS Society, if they didn’t accept the challenge. (It should be noted that the ALS Society did not actually design the Challenge, it was created at the grassroots level). The ALS Society raised a ton of money because they got international exposure and lots of people dumped a bucket on their head, posted the video, challenged other people and also made a donation. My personal belief would have been that they would have raised a lot more if the grassroots supporters who started the campaign had made it so that you dumped a bucket and gave a donation… particularly if when your donation went in you got a button that said “I survived the ice bucket challenge” mailed to your door. For your campaign, you want to make sure that you are asking for a donation from every single participant. In our homeless shelter example above, you would want to ask people to sleep on the floor and post a picture of it and to donate the $25, not to only donate the money if they refused to sleep on the floor. If you want people to spread your message, and that message contains an ask for a donation, then people have to feel like it is a reasonable amount. If you ask people to donate $100, people are going to feel weird about posting an ask of that size online for their friends and family. If you want people to spread your message, you have to make your ask “bite-sized” – that means asking for a small, round number that makes sense for your organization. Generally, your ask should be for something in the $5-$25 range. You may be thinking that a $10 ask sounds like too little. If you run a campaign and get 500 donations new donations… that would only be $5,000! Remember though that your goal here is for your message to spread easily. Some people will give more than what you are asking. Some might actually give much more. And if you steward them correctly, many of the people that give to your viral campaign will become longer term donors to your non-profit, meaning that while they may only give $25 to your viral campaign, they may start giving $100 or $200 per year to your non-profit every year. So don’t put the cart before the horse. 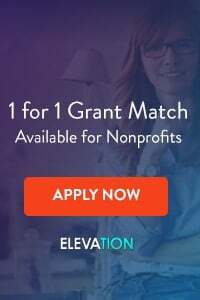 Get your message out there, get people to donate something – anything – to your non-profit, and then work on building a relationship with them and turning them into lifelong donors to your organization. In order to get people to want to talk about and share your message, your campaign needs to include a hook that makes it spreadable. What is a hook? It is something in the campaign itself that makes it fun and makes people want to share it. For the ice bucket challenge, the hook was that after you dumped the bucket on yourself, you picked three people you knew and publicly challenged them to do the same. That was fun and innovative, and made people want to share the message and take the challenge. With Movember, the hook is that it’s a “guy thing”. Growing facial hair is a guy bonding experience, and because it’s just for one month, lots of guys who have thought about growing a mustache think hey, why not do it just this month, then shave it off at the end? For Alex’s Lemonade Stand, the hook is that it is something kids can do – and that kids already want to do. Any parent with kids can tell you that at a certain point in their lives, every kid wants to have a lemonade stand. I’m not sure why, but it’s true. Equally true is that most of the work for that stand gets done by the parents. Holding an Alex’s Lemonade stand together is a great way for parents to spend time with their kids, for kids to get to hold the lemonade stand they want to hold, and for parents to feel like they are making a difference, even if it is a lot of work. 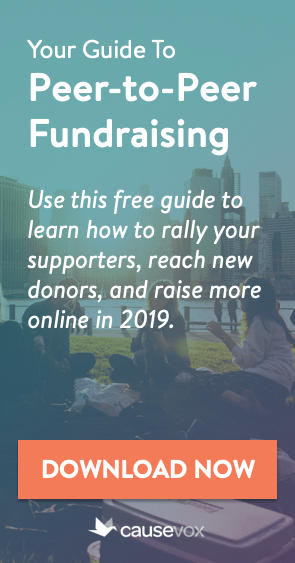 As you plan out your own viral fundraising campaign, think through what type of hook you can include in your viral fundraising effort to make it fun and exciting to spread the message, participate and donate to your cause. The fifth and final essential component of a great viral fundraising campaign is that your campaign must have great visuals if you want it to spread easily. This means that you need to make sure that your campaign can be explained and shared in photos or videos online. People love to share videos and photos, and it makes people more interested in your campaign if they can see their friends and family participating through a short video or an iPhone picture that is shared through e-mail, Twitter or Facebook. 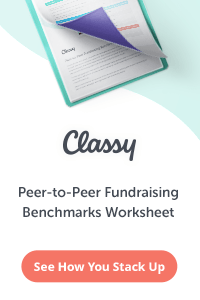 When designing your viral fundraising campaign, be sure that it includes a component that has great visuals, like dumping an ice bucket on yourself, shaving your head, wearing something pink that you normally wouldn’t wear, etc.